After almost 3 years away, regular live EIHL hockey is to return to our television screens for the forthcoming 2018-19 season. Free-to-Air channel, FreeSports, home to NHL, CHL, SHL, KHL and more, is to carry a live game every fortnight. As part of the package for the next two seasons, there will be a live game on a Wednesday night every two weeks, and in the weeks between those live games FreeSports will produce a comprehensive highlights programme, showcasing the best of the action from around the Elite Ice Hockey League. Aaron will be joined by former Belfast Giants league winning coach, Paul Adey for coverage that will also include the EIHL Playoff Final on Sunday April 14th. 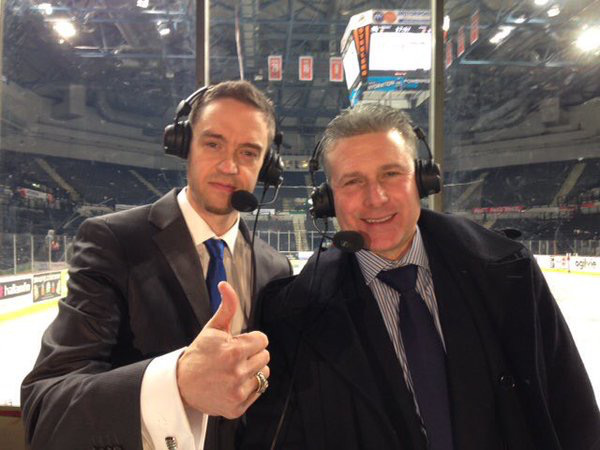 It is the first regular live TV coverage of the EIHL since the deal ended with FreeSports parent company, Premier Sports. Since that time the Playoff Finals have been covered live by the BBC, and Highlights were broadcast for a short time on Front Runner TV. FreeSports coverage will kick off with a season preview to be broadcast the week prior to the start of the 2018/19 Elite Ice Hockey League Season.